I must accept responsibility for my own actions. I clicked on the Limbaugh clip. I made the conscious decision to listen to him. Now my blood pressure is boiling and I have a migraine. LOL, you nailed it SQ, Caribau Barbie in her Halloween costume. Trick or Treat? Hi, all you sensible people, thank God/Allah Humans (and the other caring heads of religions) for the fact that there are people in America like you. 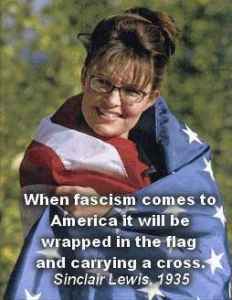 The Limbaugh’s, Palin and especially that ‘rather strange’ Glenn Beck person seem very like the bigots in our part of the World (Europe), the ones who originally drove a lot of you to seek refuge in a more open country; which I believe is called the United States of America!